Every child has a right to be protected and cared for. All these responsibilities lie in the parents or guardians of the child. If you are in any case separated, you should be able to live up to your responsibility of making sure that your children get the help and support they need, as if you are living together. 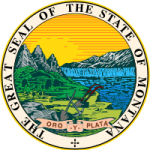 The administrative rules of Montana title 37, provides the guidelines on how parents should contribute to the care of their children.